The distinct natural colouration of the stone has been ingeniously exploited here to bring out the carved decoration. 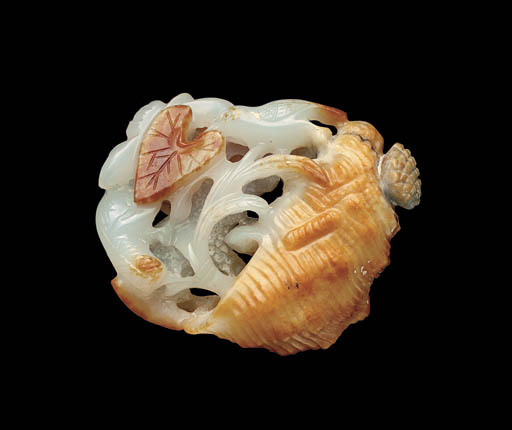 This decorative element can also be seen on a number of small jade carvings illustrated by James Watt, Chinese Jades from the Collection of the Seattle Art Museum, Washington, 1989, p. 87, figs. 65 a, b and c.